Researchers have discovered a new, highly efficient method to produce neural stem cells using human pluripotent stem cells that can then go on to form neurons in the brain. The discovery, reported in the current issue of STEM CELLS Translational Medicine, could greatly accelerate the development of new drug and cell therapies for people suffering from brain injuries or disease. Human pluripotent stem cells (hPSCs), including human embryonic stem cells (hESCs) and human induced pluripotent stem cells (hiPSCs), show great promise in regenerative medicine due to their ability to be “coaxed” into becoming different specific types of cells. These cells can theoretically then go on to help the body heal itself by replacing or repairing damaged or dead cells. 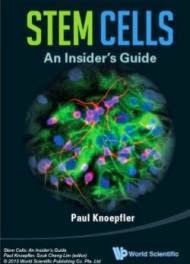 Unfortunately, the current methods for inducing neural stem cells involve time-consuming, multiple labor-intensive steps that cannot be easily automated or made GMP (good manufacturing practice) compliant for clinical grade manufacture. In addition, not many of the neural stem cells produced this way can be expanded and coaxed into becoming different neural subtypes specific to the brain regions responsible for controlling different functions. "Towards this critical need, we have developed a simple one-step protocol with a GMP-manufactured medium that is rapid and efficient in the derivation of neural stem cells (from hPSCs) that retain the cues to differentiate into different disease relevant neurons. By starting with a million pluripotent stem cells, it is possible to get approximately 40 to 50 million neural stem cells in seven days. This method sets the stage for producing neural cells that potentially could lead to new therapies for diseases such as Parkinson’s." said Mohan C. Vemuri, Ph.D., director of research and development for Cell Biology and Stem Cell Systems at Life Technologies, Frederick, Md. He was lead author of the study done in conjunction with researchers from Buck Institute for Age Research, Novato, Calif., the Methodist Hospital Research Institute in Houston and the National Institutes of Health, Bethesda, MD. "Whether the intended use is drug discovery or cell therapies for neurologic diseases, it is essential to develop efficient and reproducible differentiation methods for neurons. This study reports on a new method for the robust and reproducible production of neural stem cells." said Anthony Atala, M.D., editor of STEM CELLS Translational Medicine and director of the Wake Forest Institute for Regenerative Medicine.